Congratulations on your admission to Bloomsburg University! You're a few clicks away from officially joining the Husky Family, a network of almost 9,000 fellow students, 1,500 faculty and staff, and 70,000 alumni across the globe. A $200 non-refundable deposit is required to reserve your spot in the incoming class. This deposit is your official commitment to attend Bloomsburg University. 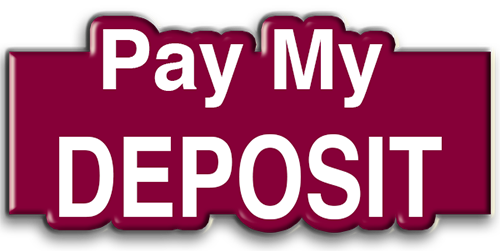 You can pay your deposit online by following these step-by-step instructions and clicking on the "Pay My Deposit" button. You can also pay your deposit by mailing us a check or money order along with the enrollment card you received with your admitted student folder to this address:. We will continue to accept admission deposits until further notice. If you're wondering what to do next after paying your deposit, please review either the Freshmen or Transfer Next Step websites. If you have any questions or need help, please contact the Office of Undergraduate Admissions at 570-389-4316. Again, congratulations on your admission to Bloomsburg University's newest incoming class and for joining the Husky Family! Go Huskies!